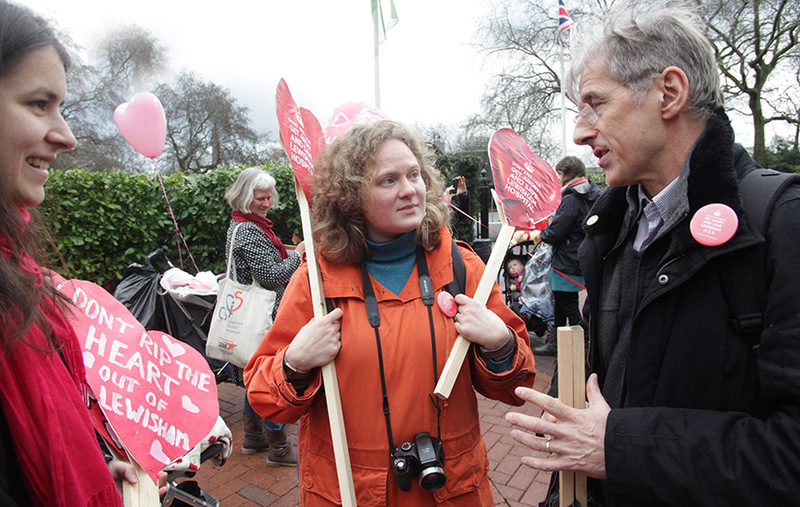 The Monstrous Regiment of Lewisham Women : Who says Al Capone is dead? What better way to enjoy Valentine's Day than a spot of direct action at the Department of Health? In Lewisham we don't celebrate in secret we go out in style! Red heart-shaped balloons, home-made bunting to festoon the streets of Westminster, posters galore inscribed with a message from the mothers, babies, children and people of Lewisham – 'Don't rip the heart out of our hospital, Mr Hunt' and hand-delivered baby sock rosebuds for Jeremy Hunt, Secretary of State for Health, each with their own story of a baby born and saved by Lewisham Hospital. In Lewisham we don't go for subtle. We go for the jugular. 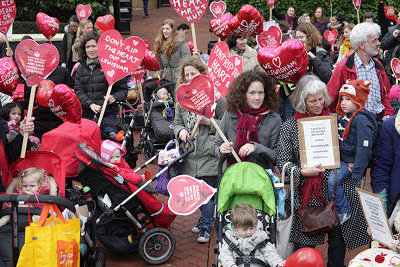 Last Thursday 14 February more than 130 babies, mums, dads, grannies and citizens of the London borough of Lewisham descended unannounced to pay a special Valentine's call on the Right Honorable Jeremy Hunt MP at his office. Sadly he did not join us to receive in person our heartfelt offerings but that didn't detract from a morning of peaceful but exuberant protest. 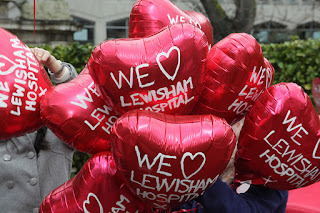 Our message was shouted load and proud: the fight to save Lewisham Hospital did not end with Jeremy Hunt's announcement on the 31st of January that acute services at Lewisham Hospital would be cut. How can this small part of London have any relevance to the rest of the country and world? I hear you cry. The reason is this: Lewisham Hospital is a solvent and clinically well-respected healthcare provider. The fact that its fate hangs in the balance is purely financial because its vital services are being sacrificed to bail out the disastrous PFI contract that has drained to ruin neighbouring South London Healthcare Trust. So, according to Jeremy Hunt, it's now perfectly acceptable to remove obstetric-led maternity and emergency care from a population of nearly 280,000 just to balance his books. Nevermind the safety of thousands who use their hospital every day or the fact that neighbouring hospitals are full to bursting. No, the priority in healthcare these days is profitability. The other reason is the small incidental detail that it seems the coalition government has an agenda to dismantle the welfare state. I grew up in the shadow of Thatcher so sweeping changes to benefits, education and health were a feature of my childhood and I recognise an unmandated eradication of public services when I see one. 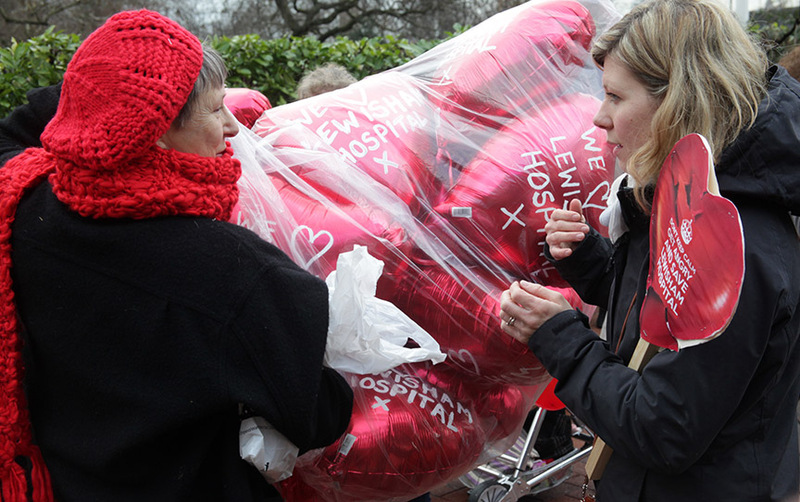 Lewisham Hospital is a test case for every hospital across the country. And the wholesale destruction of the NHS will have ramifications beyond our green and pleasant shores. Isn't the NHS held up as a shining light in international healthcare? If we lose healthcare that is free at the point of delivery what are we replacing it with and gone will be the days of a pioneering health model to be replicated across the globe. 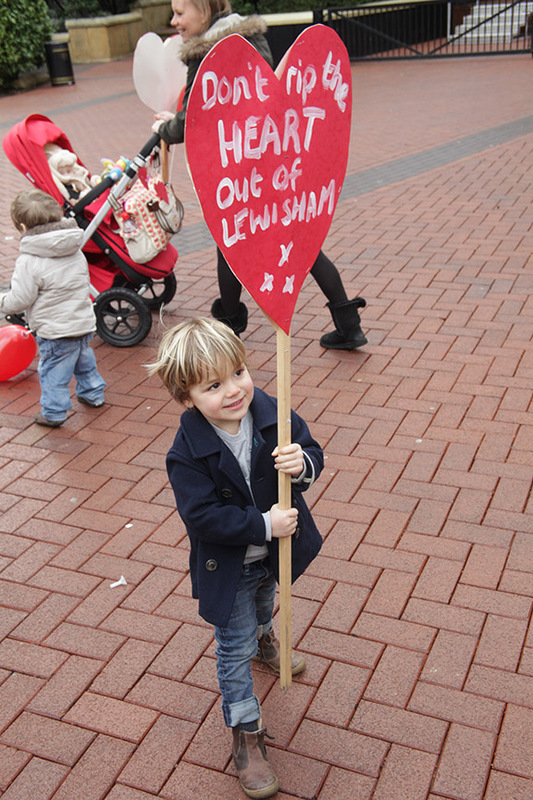 But the likes of Jeremy Hunt and the cabal in the Department of Health don't scare the residents of Lewisham. We're a plucky bunch and we're showing David Cameron what a Big Society can do when people join together and form a real community. We're not going down without a big, public and embarrasing fight. The boys at Number 10 may think they can dismiss down-at-heel Lewisham with its massive population of refugees, asylum seekers, travellers, migrants and vulnerable families but they have underestimated the little people. The patronising arrogance of our well-oiled leaders will be their un-doing. We have strength and experience on our side. When many of our number have defied miliatry juntas, grown up behind the iron curtain of Communism and marched thousands of miles across deserts, steppes, plaines and the English Channel taking on a bunch of public school boys with their hands deep in McKinsey's pockets doesn't seem too much of a struggle. And, as most of us are unemployed good for nothings – in the eyes of our esteemed government – we might as well while away our days taking a stand for our hospital, our NHS and the future of Britain's Welfare State. You can follow the campaign on facebook.